Home / 90s / clarissa explains it all / melissa joan hart / news / nickelodeon / reboot / Melissa Joan Hart returning as Clarissa to ‘explain it all’ in reboot! 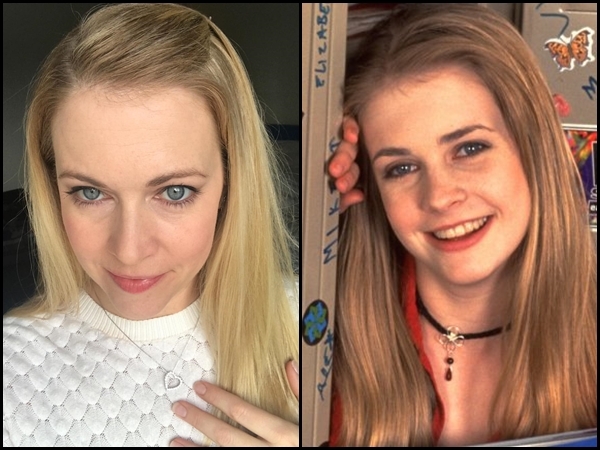 Melissa Joan Hart returning as Clarissa to ‘explain it all’ in reboot! Do you want to hear Clarissa explain it all over again? Those who grew up in the ‘90s are probably getting some feels from this news and yes, it is exactly what you think it is – Melissa Joan Hart is bringing the nostalgia back in a reboot of her popular ‘90s kids show, “Clarissa Explains It All”! The 41-year-old will be reprising her role as Clarissa Darling, except she is now all grown up and the mother to a family of her own, according to The Hollywood Reporter. The reboot is still in the early development stage over at Nickelodeon but Hart is set to produce under her Hartbreak Films production company, while Mitchell Kriegman, creator of the original show, might return as writer and executive producer for the show. “Clarissa Explains It All” aired for five seasons back in 1991 to 1994. The original show ended in 1994 after five seasons on television but the story of Clarissa continued in Kriegman’s 2015 novel, “Things I Can’t Explain”. The novel follows Clarissa in her late ‘20s and her adventures as she grows up into an adult. This will be the second Hart-starring series that is getting a reboot. “Sabrina, the Teenage Witch” is also being rebooted by Netflix with Kiernan Shipka (“Mad Men”) taking over Hart’s titular role.